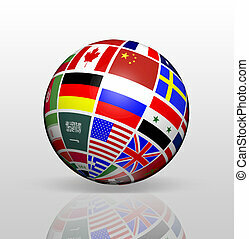 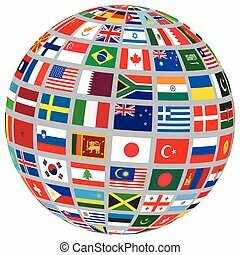 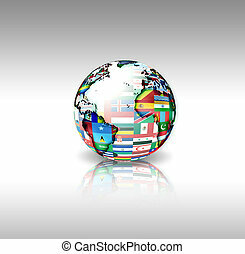 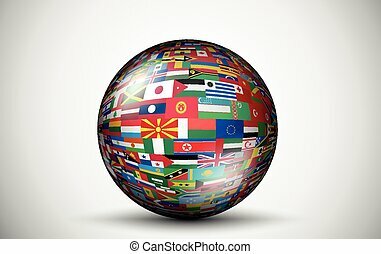 World flags sphere symbol representing international global cooperation in the world of business and political affaires. 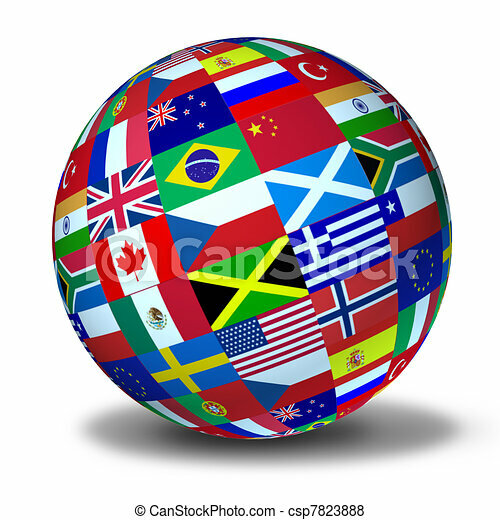 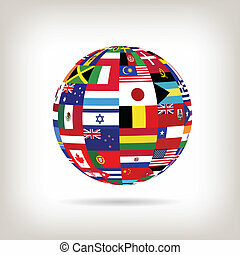 World flags sphere floating on a white background as a symbol representing international global cooperation in the world of business and political affaires. 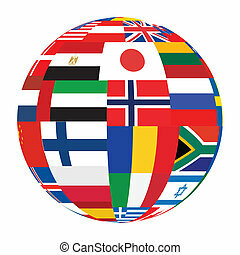 Illustration of a sphere with flags from across the world. 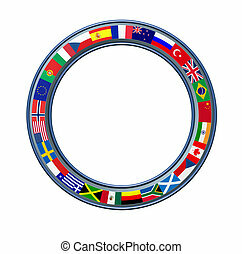 World ring of global flags as a circular blank frame with a metal trim showing international theme representing countries from multiple continents on a white background. 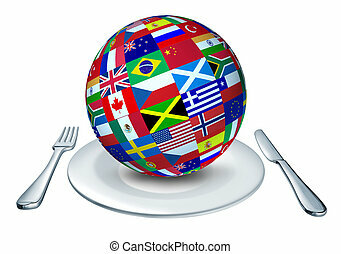 International cuisine represented by a globe with flags from many countries as Italy France and China representing gourmet and home cooking from around the world. 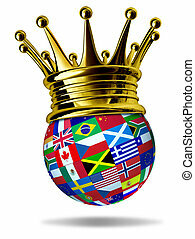 World leader with global flags with countries as United States,England,Europe,Italy,Greece,China with a gold crown representing leadership and victory in international trade and world business. 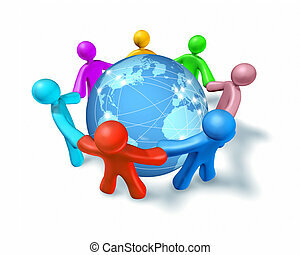 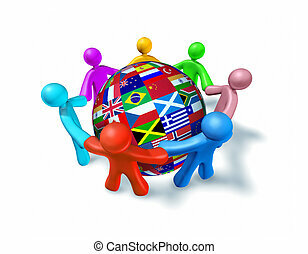 International network of world cooperation represented by a shere globe with flags from around the world and human characters of different colors connected in a network holding hands. Internet connections and networks around the globe represented by a global international sphere resting on the floor showing the communications amongst cities and continents around the world with people holding hands. 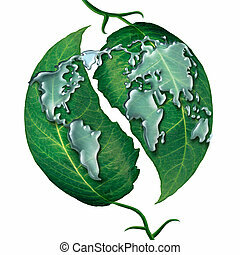 World leaf water drop concept as a group of liquid rain drops shaped as the map of the earrth on green leaves as a symbol and metaphor for ecology protection or clean global water isolated on a white background. 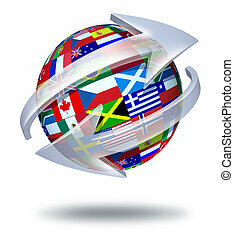 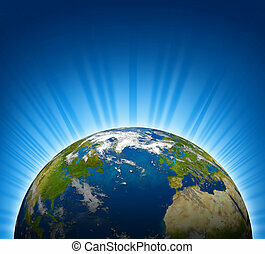 International view of North america and Europe on an Earth planet globe model with a bright radial blue background. 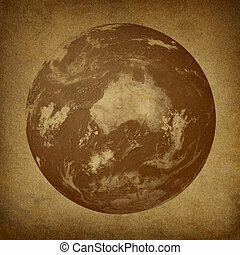 Planet Earth featuring Australia on a grunge old parchment paper texture. 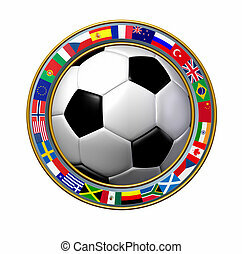 Global Soccer with a ring of international flags showing the ring of the world number one team sports on a white background. 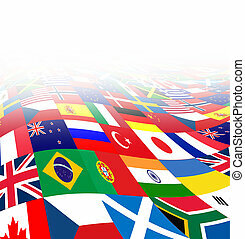 International business background with flags from the world in three dimensional perspective as a symbol of global financial trade and economy on a white background. 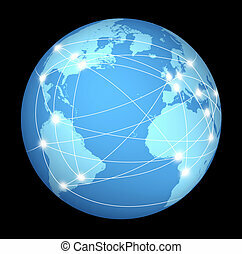 Internet connections and network around the globe represented by a global international sphere on black background showing the communications amongst cities and continents around the world. 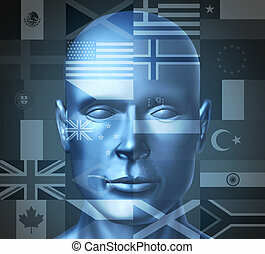 Globe trotter and international traveler symbol represented by a human head with flags from countries of the world showing the concept of traveling and tourism.